Network Quality May Help You Choose! Wireless network quality may help you decide which prepaid wireless provider to choose. After all, no matter how awesome your phone is, if the quality of the network is poor, you won't be able to enjoy its features! Consider the following tips and questions. Network quality isn't the same as network technology such as GSM, CDMA, EDGE, LTE, etc. Rather it loosely refers to how often you drop calls, the voice quality of your conversations, whether your text messages get received quickly, and whether you have reliable and consistent data speeds. Not all networks are created equal, and this is not technology dependent per se. Though you could debate about which technology is fundamentally better, all technologies have evolved to the point where the average person probably wouldn't ever notice when it comes to comparing basic voice and text services; data still, however, can vary largely. But you will find, however, that even networks that use the same technology (ex. LTE) will be built out differently to give you better or worse reception and/or voice quality, and data speeds. Wireless networks are extremely expensive to build (in the billions! ), so many companies, especially the smaller ones, will often put up less towers, or manage capacity in such a way that their network costs are lower. This can be a good thing because it allows them to offer you plans at lower prices. 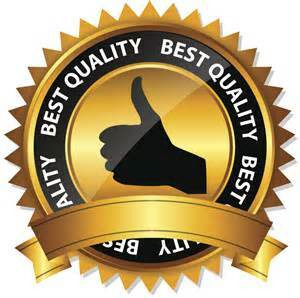 However, if quality is important to you, you may be better off, and much happier in the long run, paying more for a higher quality network. That's not to say, however, that less expensive plans are running on lower quality networks, or vice versa, so don't be fooled into thinking that you're paying more for better quality! If you don't use your phone that often, and when you do, you don't have long conversations, nor consume much data, then network quality may not be so important to you, and you'll do just fine with any network that offers the phone you want, and a plan with a good price. Use the phone yourself in the areas that you work, live, and play to see how you like it. Most wireless providers offer a 30-day money back guarantee. Nothing beats real world experience! Ask your friends and family how they like their wireless provider. Just be sure to ask them how often they use their phone, how long their calls tend to be, how much data they use, and where they tend to use it (What cities? Indoors or outdoors?). While listening to marketing and advertising about network quality can give you ideas, be cautious, because there might be wireless providers who are focusing on other features of their service and not promoting network quality at the time you happen to take notice. And quite honestly, it is marketing after all, so first-hand experience or referrals are much more powerful and important in making any final conclusions. Just one final word of caution about network quality. Although, as I said, not all networks are created equally, not all phones behave the same on the same network. What does this mean? Well, if you have a bad experience, it may be that the network itself is actually very good quality, but the phone you're using isn't performing well. Even the best of the best wireless carriers with the largest and most expensive wireless networks will have some phones that perform better than others. Because I'm not an RF (Radio Frequency) or chip set expert, I can't give you the details. However, I do know that some phones will have different power output than others, and handle cell site hand-offs (ex. when you're driving) differently. Wireless providers try to test their handsets in order to maintain a minimum quality level, but three are still variations. The best advice I can offer is to ask around to see what phones people are using, or try a different handset before you give up on a particular wireless carrier.